When will the Cherry Blossoms ever bloom? The Tidal Basin Cherry Blossoms look like they are ready to bloom. We could see some of them opening by weekend, says the National Park Service. I asked the friendly National Park Service ranger the question we have been all thinking. 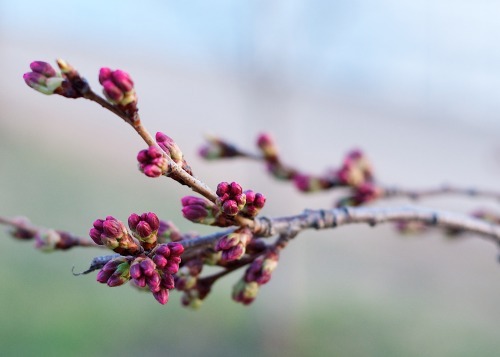 This year’s persistent winter and tardy spring have us all wondering if the blossoms will ever show up. Last year this time, the Cherry Blossoms were in full bloom. As the park service explains, we are extremely close. When I spoke with one of the rangers on March 27, the indicator tree was at Stage 3, Puffy white. Stage 1 - Florets visible - about 16 - 21 days from peak bloom. 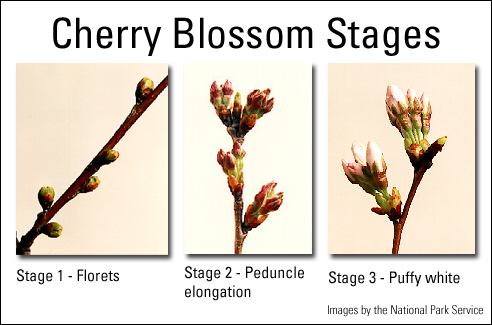 Stage 2 - Peduncle elongation - or when you just begin to see the flowers peeking through the crown of the bud. This is usually six to 10 days from peak bloom. Stage 3 - Puffy white - They are ready to explode, usually four to six days from peak bloom. Stage 4 - Full bloom - Grab your camera. This won’t last long. The peak bloom date is defined as the day in which 70 percent of the Yoshino Cherry tree blossoms are open. The park service rangers around the Tidal Basin keep an eye on their indicator tree. This is a tree near the Jefferson Memorial that usually blooms first and gives the rangers a good idea when the rest of the cherry trees are a few days from full bloom. On March 27, the indicator tree was at the puffy white stage, so rangers still expect peak bloom around the Tidal Basin to happen April 3 - 6. “But when will we have enough flowers to take great pictures?” I asked. That’s what we really care about, right? We could have as much as 30 - 40 percent of the flowers open by this weekend, if the weather cooperates, she estimates. That should begin to create some beautiful scenes around the basin. Let’s keep our fingers crossed for warm weather. 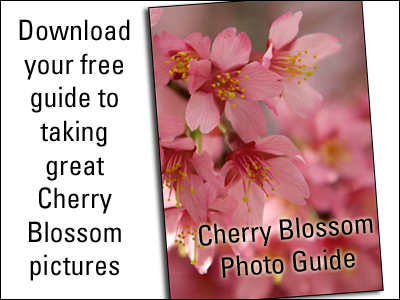 Get ready to photograph the Cherry Blossoms with my new Cherry Blossom Photo Guide. Download yours now.